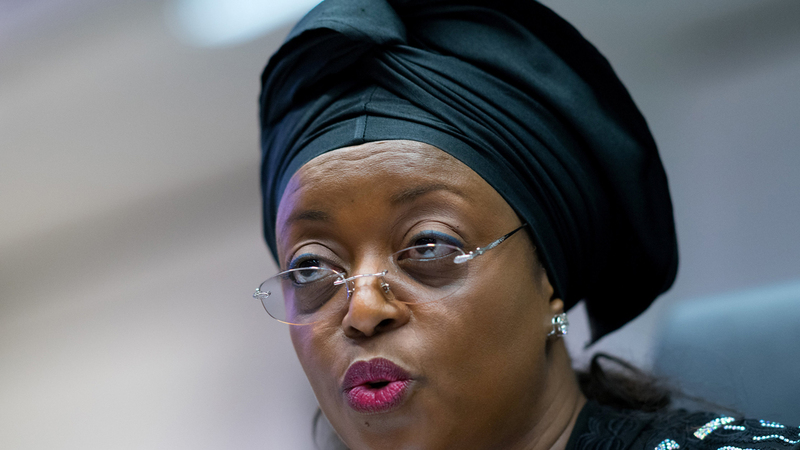 A Federal High Court, Lagos, has ordered permanent forfeiture of 56 houses situated in Lagos, Port Harcourt and Abuja valued at $21,982,224 (about N3.3 billion) allegedly linked to a former Minister of Petroleum Resources, Mrs. Diezani Alison-Madueke, to the Federal Government. The trial judge, Justice Abdul-Azeez Anka, made the order yesterday in response to a motion filed by the Economic and Financial Crimes Commission (EFCC) seeking the permanent forfeiture of the property. Justice Anka, who granted the motion as prayed after listening to the submissions of the EFCC’s counsel, Anselem B.C. Ozioko, said: “I have gone through the affidavit attached to motion for final forfeiture as well as the submissions of the EFCC’s counsel, A. B. C. Ozioko. The court has no option considering the incontrovertible evidence filed by the EFCC than to grant the application. In another development, the Nigerian Content Development and Monitoring Board (NCDMB) says it has a 10-year strategic development plan to usher in changes in oil and gas sector to ensure sound regulatory framework and international best practices. Executive Secretary of the NCDMB, Simbi Wabote, who stated this yesterday during a three-day workshop held at the Imo Trade and Investment Centre, Owerri, said the board had mapped out the strategic plan to launch it to greatness in the oil and gas sector. However, oil workers under the aegis of Petroleum and Natural Gas Senior Staff Association of Nigeria (PENGASSAN) and another group, Campaign Against Corruption and Bad Governance (CACOBAG), have called for proper and thorough investigation into the crisis surrounding the $25 billion contract and employment allegation in the Nigerian National Petroleum Corporation (NNPC). In a statement yesterday signed by the Group Secretary of the Group Executive Council (GEC) of PENGASSAN in NNPC, Mr. Sulaiman Sulaiman, the associationvowed to resist any attempt by non-executive officials of the NNPC to meddle with the affairs of the corporation. The Chairman of CACOBAG, Mr. Toyin Raheem, who spoke in Lagos, noted that corruption is a criminal act and by virtue of the EFCC Act, it is mandatory that every allegation of corruption, more so that involved the NNPC, be investigated by the EFCC. Group Managing Director of the NNPC yesterday said the country might get a new refinery in Akwa Ibom State going by interest from investors. Baru, who stated this at a two-day PENGASSAN’s triennial retreat/synergy workshop in Uyo, said the state was well-positioned geographically to have a refinery. Meanwhile, the EFCC has begun probe of over N25.6 billion released to Cross River State by the Federal Government to settle outstanding indebtedness of the state to workers. An EFFC personnel, who spoke on condition of anonymity, told some newsmen that they were on a discrete investigative mission to make an on-the-spot fact-finding on whether some pensioners were being owed or not and see how such funds released to the state were applied.